Quick and easy keto diet friendly version of my favorite quick meal; breakfast, lunch or dinner! 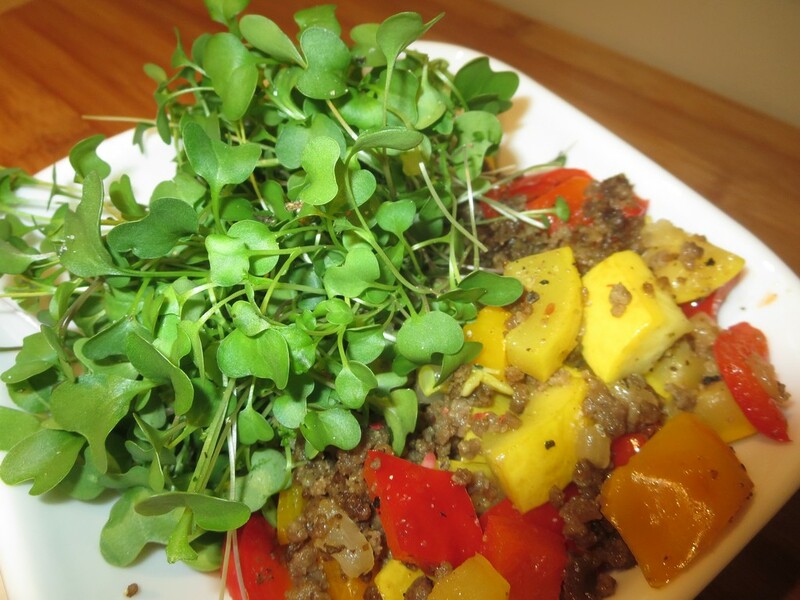 Recipe makes 2 servings and is easily doubled for a family-size serving and/or leftovers. You can even get creative and change up the vegetables. 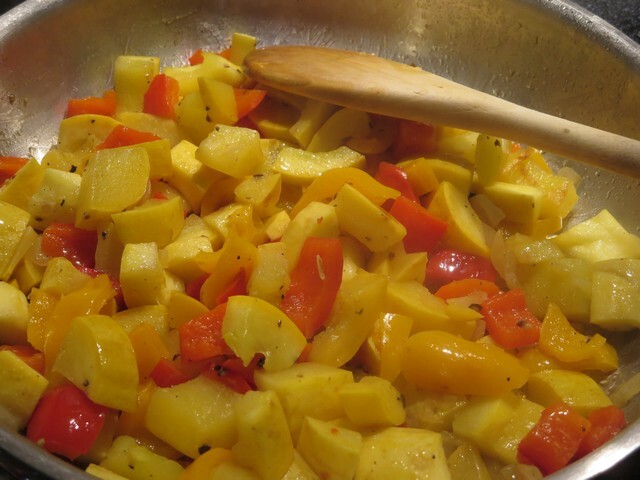 Heat fat in a medium-size frying pan until it just begins to shimmer (Shimmering oil is hot oil that is nearing its smoke point and will have wave like appearance) using medium to medium-high heat. Add onion and sauté for 2 minutes. Add garlic and remaining vegetables and sauté for 3-5 more minutes, stirring frequently. 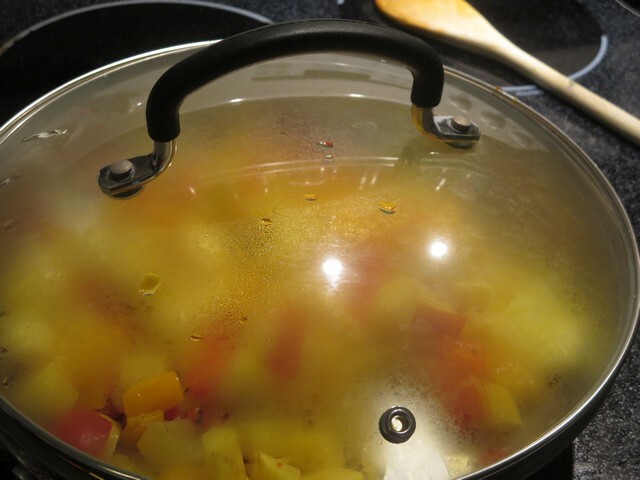 Add ¼ cup hot water, place a lid or foil tent over the pan and continue to “steam fry” for about 5 more minutes until all vegetables are tender. 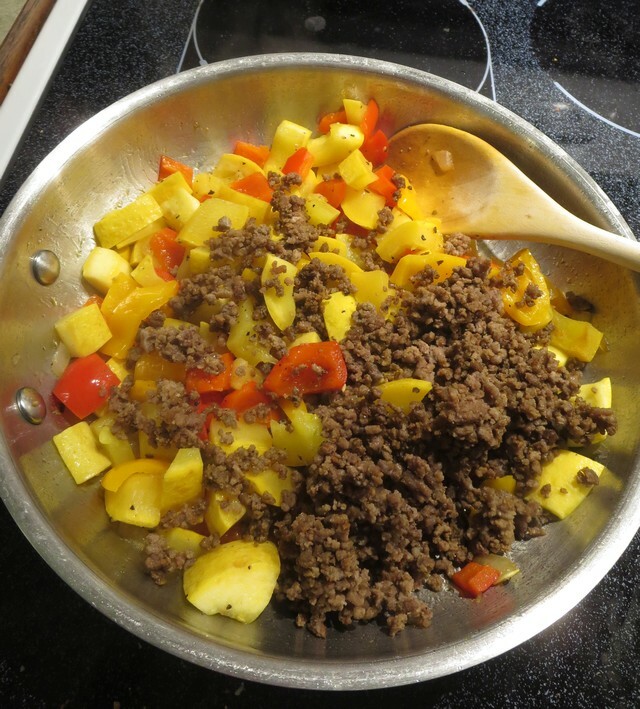 Stir in cooked ground beef and season to taste. Serve topped with olive oil and a side of your favorite greens.